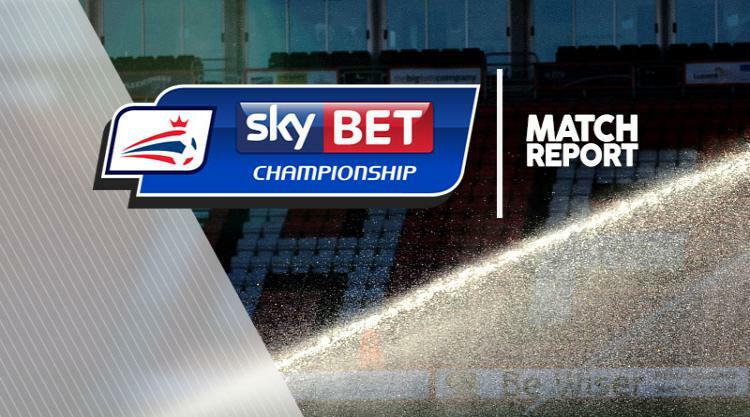 Nahki Wells scored one goal and set up another as Huddersfield reclaimed third place in the Sky Bet Championship with a 3-0 victory over Norwich. Three goals in seven second-half minutes blew away the Canaries as the West Yorkshire team moved closer to sealing a play-off spot after back-to-back defeats. Elias Kachunga broke the deadlock before Wells' clever backheel set up Aaron Mooy to make it 2-0. Wells finished off Norwich with a left-footed strike for his 10th goal of the season and a first in nine appearances. Philip Billing almost gave Huddersfield a fifth minute lead when he tried to curl home from the edge of the box but his effort struck the outside of the post. Rajiv van La Parra bent a shot just wide of the far post before Norwich went close when Alex Pritchard tested Danny Ward, the goalkeeper gathering at the second attempt. In another quickfire move at the other end, Norwich keeper Michael McGovern had to be alert to deny Kachunga, keeping out his header one-handed at the near post. Mooy had Town fans out of their seats on the half-hour but he could not keep his effort down. Seconds later Alexander Tettey blocked Mooy's piledriver and Kachunga brought another save from McGovern. Six minutes before the break Huddersfield-born Cameron Jerome had the ball in the back of the net after a Norwich breakaway but the effort was ruled out for offside. Wells had a great chance in the 54th minute when he was through one-on-one with McGovern but the keeper blocked. Mooy and Wells combined two minutes later but McGovern again made the save. Norwich continued to look dangerous, with Pritchard dragging a shot wide and Yanic Wildschut lashing over. Huddersfield finally broke the deadlock in the 66th minute when Wildschut looked like he had been fouled on the edge of the Terriers box - but the referee allowed play to go on and Tommy Smith set Kachunga away. Ryan Bennett got a touch but Kachunga nipped in ahead of McGovern to fire home. Four minutes later Town doubled their lead when van La Parra found Mooy, who played a one-two with Wells. The striker's backheel opened up space for Mooy to stab home, beating McGovern at his near post. The hosts made sure of the points in the 73rd minute when Mooy and van La Parra combined again for Wells. Van La Parra slipped in the striker from the left and he fired home left-footed.